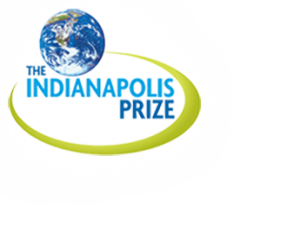 RODNEY FINALIST FOR 2016 INDIANAPOLIS PRIZE! INDIANAPOLIS – Indianapolis Prize officials announced today the six Finalists for the world’s leading award for animal conservation. In recognition of his successes in the conservation of at-risk species, Dr. Rodney Jackson joins fellow finalists Dr. Joel Berger, Dr. Dee Boersma, Professor Carl Jones, Dr. Carl Safina and Dr. Amanda Vincent. Dr. Rodney Jackson has dedicated his life’s work to an animal he rarely ever sees, but when he does, he catches a glimpse of one of the most amazing species our planet has to offer. Studying snow leopards is not a passive endeavor, and these elusive creatures do not give up their secrets easily. Yet Jackson continues to endure harsh winters and dangerous terrain to track these big cats and teach locals how to coexist peacefully with them. His work to shift public perception of snow leopards – from a potential livestock predator to an economic asset – is why Jackson has advanced as a Finalist for the 2016 Indianapolis Prize. 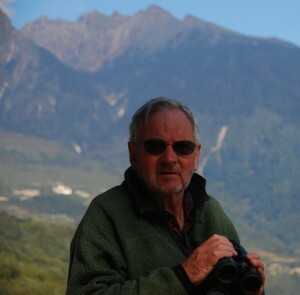 As founding director of the Snow Leopard Conservancy, Jackson’s 35-plus year dedication to conservation comes from his deep conviction that snow leopards, and the humans that live among them, need our help. His success story began in the 1980s, when Jackson conducted the first-ever radio-tracking research on snow leopards. That’s no small feat, considering that for the first quarter century of his career, he was lucky to even observe this nearly-mythical species in its natural habitat. But he persisted, logging more than 3,000 miles on foot and camping at altitudes of 12,000 feet in order to track and monitor movements throughout their 12 Central Asian range countries. But Jackson’s work with the communities that live among snow leopard habitat – the indigenous peoples of countries such as Nepal, Mongolia and India – may be his greatest contribution. By understanding the imperative of honoring cultural practices, he works closely with the herders whose lives are directly impacted when snow leopards prey upon their livestock. Jackson is setting an example for engaging communities in conservation action and helps reverse herders’ perception of snow leopards. Once a despised pest, they’re now a valued asset. “At an age when many retire, Rodney is planning new ways to carry his pioneering methods so that the iconic snow leopard can have a vibrant future,” said Charles Knowles, founder and president of the Wildlife Conservation Network. Jackson received his doctorate from the University of London, where he also received an undergraduate degree in zoology and botany. He also holds a master’s degree from the University of California.